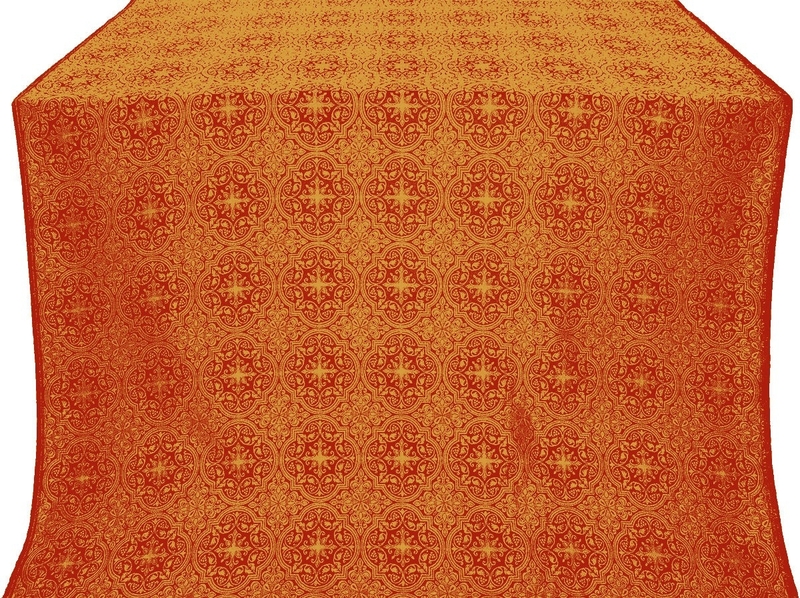 In the quest to acquire quality Orthodox Christian ecclesiastical vestments at affordable prices, it’s important not to lose sight of fabric characteristics. 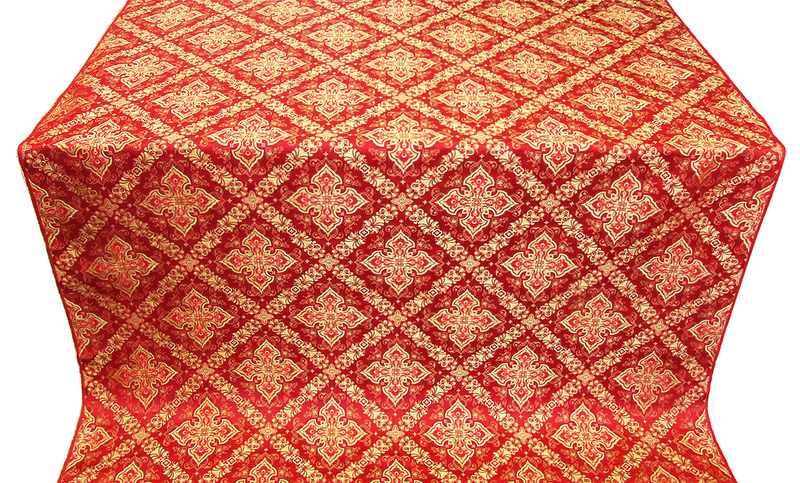 With its versatility and long lasting beauty, manmade rayon brocade is an excellent choice for liturgical fabric. 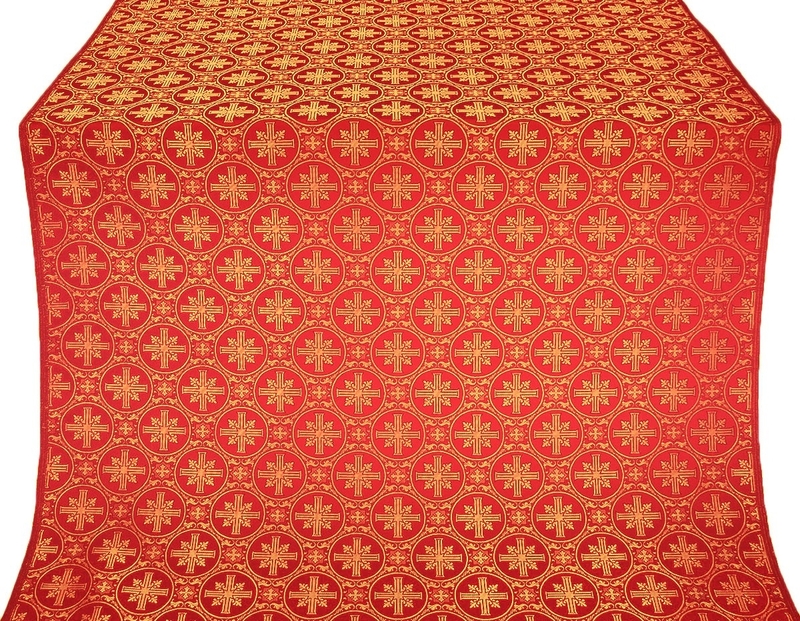 Istok Church Supplies is proud to present a superb range of rayon brocades red-gold suitable for creating a wide variety of liturgical vestments. 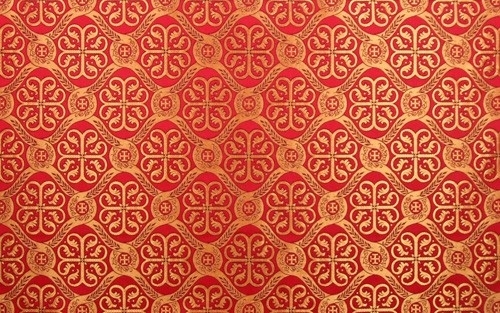 Red and gold is a powerful combination that has been used throughout Orthodox Christian history. The color red symbolizes blood on the Cross, the blood of martyrs, the Royal color as well as the flame of the Spiritual Host. For this reason, red is traditionally used for commemorating feasts and days honoring martyrs as well as occasions such as the Elevation of the Cross. 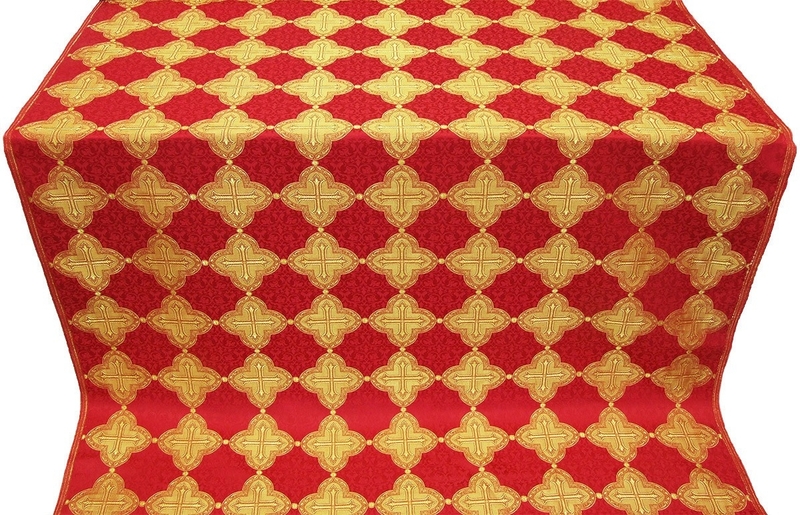 Our rayon brocades red-gold are a potent way to draw attention of parishioners and invoke a sense of religiosity during important church services. 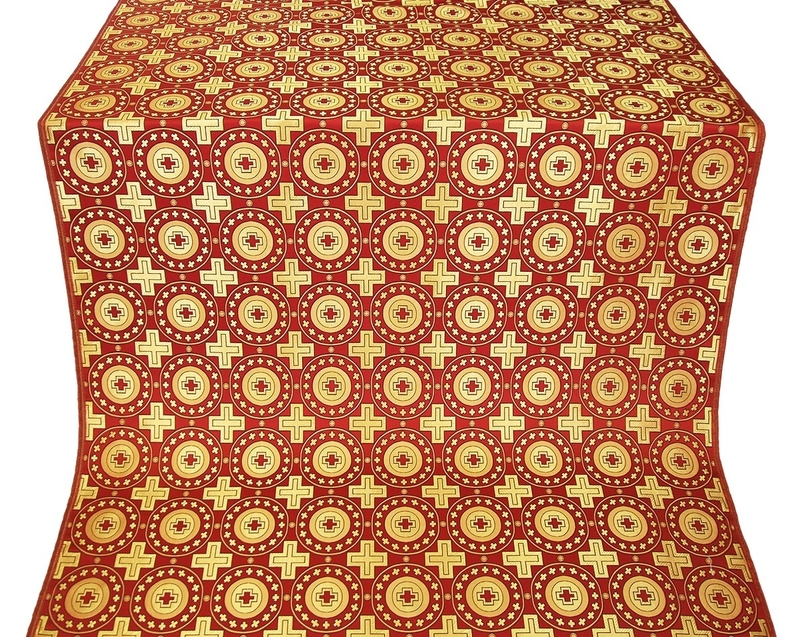 We put in our best efforts to provide rayon brocades red-gold with attractive Christian themed patterns. 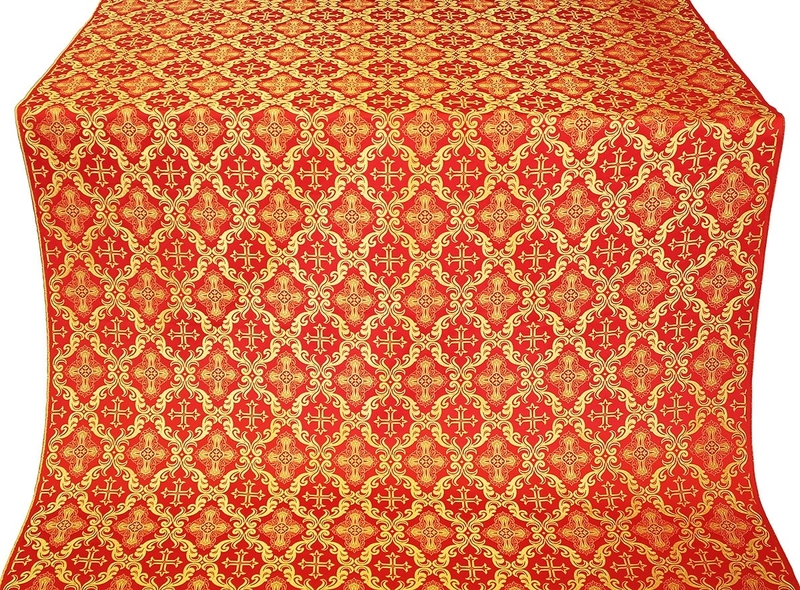 Whether you are looking for an elegant floral pattern or a more intricate cross themed pattern, you will find what you are looking for. 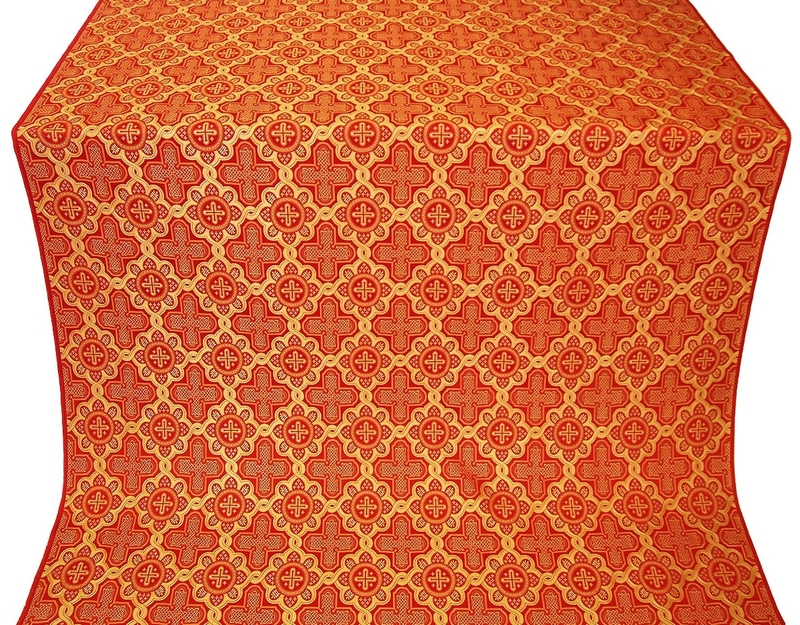 Customers use our top quality rayon brocades to create a broad range of liturgical vestments of various styles including the Greek Orthodox and Russian Orthodox styles. 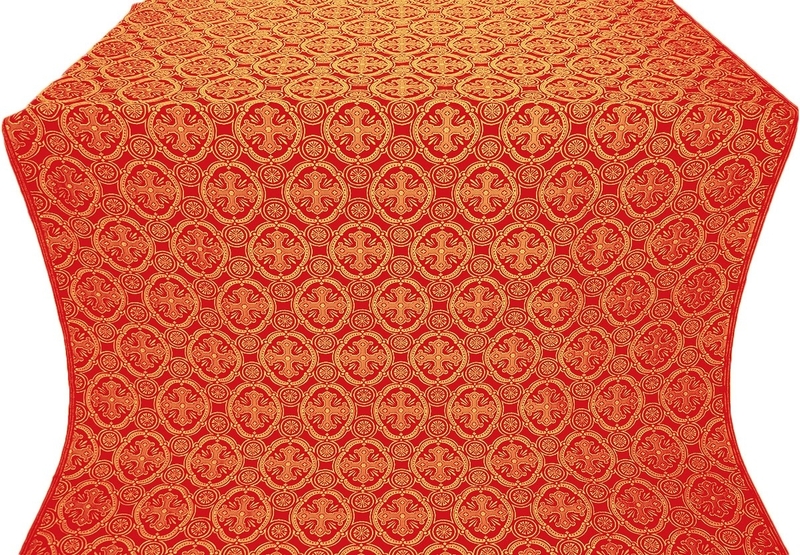 Since they appear rich and lavish, rayon brocades are a budget friendly option for making official clergy vestments such as Bishop’s vestments, Deacon’s vestments and altar server’s vestments to name a few. We provide detailed product information for each product listing to assist customers in making an informed purchasing decision. 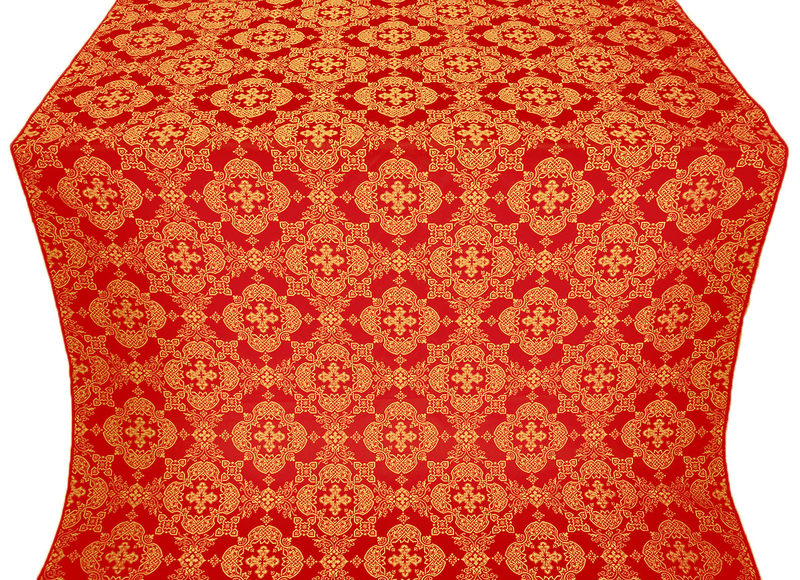 Customers can browse through our collection of rayon brocades in red and gold combination, zoom into the images, check out weight and dimensions of fabric and then order according to the quantity they require. 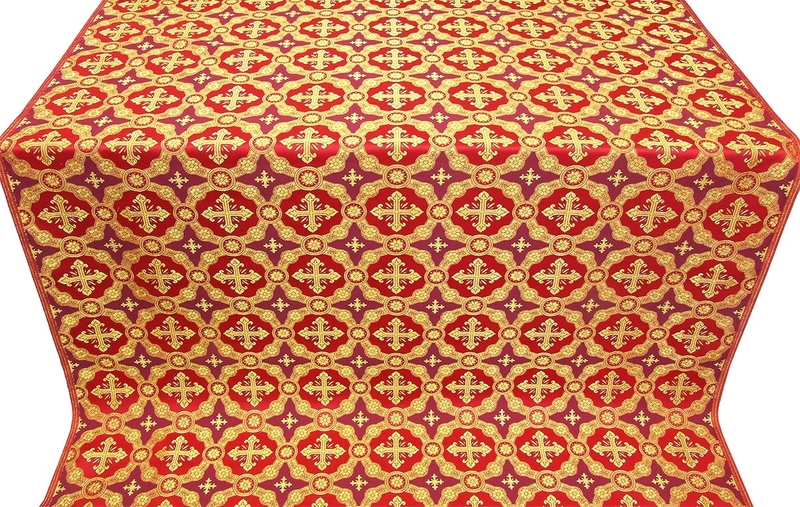 We sell our liturgical fabrics by the meter and customers can purchase as many meters as they need. 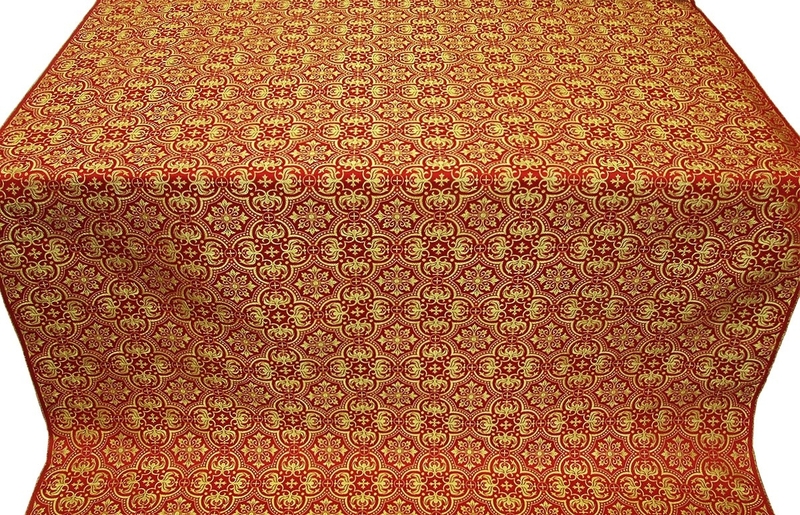 Make a list of all your requirements so your church interiors can be infused with vibrant hues of red and gold!